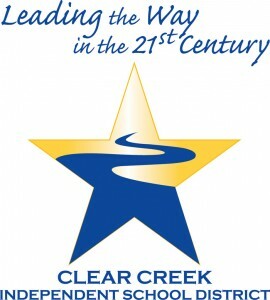 They started with a list of $600 million in needs for the Clear Creek Independent School District, but after five months, numerous tours and exhaustive document reviews, a special citizens committee ranked $387 million worth of projects as the highest priorities to meet the district’s growth, safety, and technology needs for the next three to five years. The CCISD Citizens Facility Advisory Committee made its preliminary recommendations to the Board of Trustees on Monday, Jan. 14. The last bond approval for the Clear Creek Independent School District was in 2007. The 2007 bond primarily dealt with building new campuses to accommodate growth, leaving very little of that bond for upgrading aging facilities and technology. The committee recommends the district address worsening conditions of 40 year and older schools such as Clear Lake High School, McWhirter Elementary, Clear Creek High, Seabrook Intermediate and Clear Lake Intermediate to ensure these schools are safe and effective learning environments for decades to come. The recommendation also completes the rebuild of Clear Creek High, where a section of the 1956 building remains untouched. Under this proposal, 38 schools and 8 district support facilities would receive a total of $90 million in priority renewals and replacements from life safety equipment to HVAC and roofs that have reached their lifespan. The committee’s recommendations also address an ongoing security concern at Clear Brook High since the campus is the only high school that does not have a secure main entrance. Clear Brook also suffered a significant foundation failure that caused the building to separate near the main entrance. The recommendation also addresses replacements for school buses that are 15-20 years old and have more than 200,000 miles. The committee also calls for an infusion in technology to ensure CCISD students have access to 21st century tools. The last significant investment in technology was in 2004 where voters approved $38 million in technology. This proposal asks for $50 million to improve the wireless infrastructure in every school; provide teachers and students in multiple grade levels with tablet computers to access curriculum 24 hours a day; replace aging computer labs and career and technical labs; and increase the availability of interactive whiteboards and projectors. “In CCISD we believe learning occurs any time, in any place, and at any pace. Without this investment, we will not be living up to our promise to our community of providing our students access to 21st century teaching and learning,” said Superintendent Greg Smith. While the committee worked diligently to ensure priority replacements and renewals were addressed, it was also cognizant that the district continues to grow by 400-600 new students per year. The committee is not recommending any new schools be constructed at this time, but is recommending permanent additions be added to Greene Elementary and Creekside Intermediate to relieve overcrowding. Growth is also the reason why the committee recommends a second district stadium and the expansion of agriculture support centers. The current stadium was constructed in the 1950s to serve Clear Creek High School. Today it serves five comprehensive high schools. “Thirty-two of our neighbors have met over the last five months to investigate CCISD facility and instructional needs and to cull a large list of project proposals into a smaller list of the top priorities. This has been a monumental undertaking, and the committee is to be commended for its time, candid debate and thoughtful recommendations. We now enter a period of public comment on the committee recommendations and fiscal assessment by the Board to determine if adjustments should be made and if further efficiencies can be identified,” said Ken Baliker, school board president.The committee’s preliminary recommendation calls for $387 million in improvements, likely sought through a voter-approved bond election. The recommendation equates to a 13 cent increase on the tax rate, a $16.58 per month increase of property taxes on an average home. The current tax rate in CCISD is $1.36 per $100 valuation, significantly lower than in 2005 when it was $1.77 per $100 valuation. Homeowners 65 years and older would not be impacted by a tax rate increase as their property taxes are frozen by law. The committee readily admits this is a preliminary recommendation and revisions will likely be made following public input over the next several weeks through a phone survey and public meetings. Based on that input, the committee may revise its recommendations prior to making a final recommendation to the Board of Trustees on Feb. 11.